The Tall Ship Europa came into Duluth on July 29, along with 8 other ships; Steve Sola took this picture of the Europa in the palm of his hand, with his phone from his lighthouse next to Duluth Lift Bridge. Click here to see my picture of the same ship a couple minutes later, with Steve’s lighthouse in the background. You can also look at pictures of the other 8 Tall Ships there. Ken, these ships were originally built as lighthouse boats for the river Elbe as it empties into the North Sea from Hamburg. I took trips out to Helgoland in high school and saw these ships at night on the way back. They are no longer in service and have been refurbished as sailboats or restaurants. 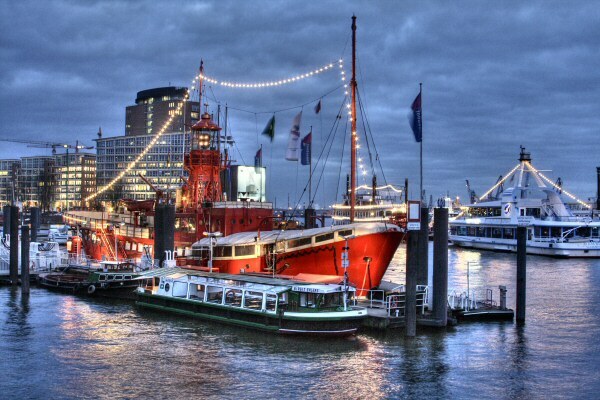 Another one has been converted to a restaurant in the Port of Hamburg.